Feature your book in our monthly newsletter for only $25.00 a month. This Feature includes a picture of your book's cover, along with a link to your LitPick book page and review, a link to your book's listing on Aazon.com for purchase, and other information about your book that contains additional information. If we have produced a LitPick Book Brief video or other book review video, we also include a link to the video on our YouTube channel. 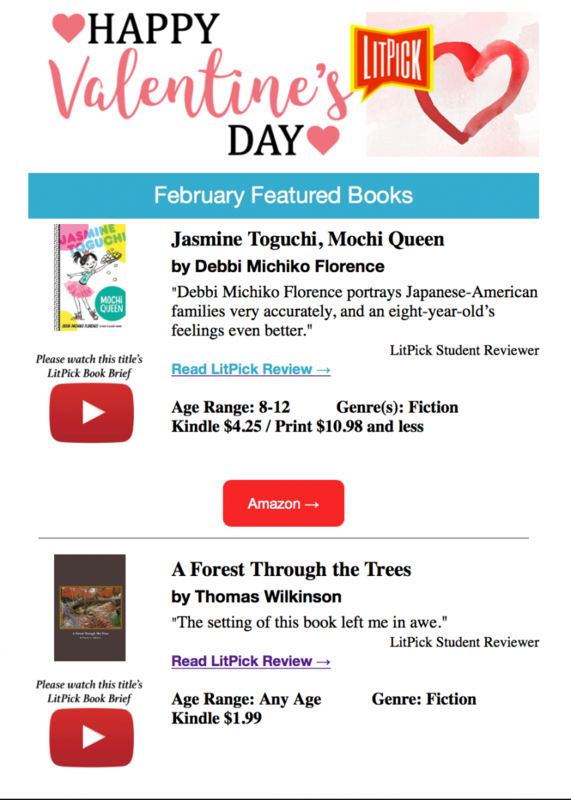 Contact us to see what times are available for your LitPick newsletter Featured Book promotion.